Ii is one of the central terms in Chinese society. Relation(ship) and the whole network of relationships. In order to get somewhere, one needs to have 关系 /guānxi/. When you want to say NO WORRIES, you say 没关系 /méi guānxi/, lit. THERE IS NO RELATIONSHIP. When you want to say that OBJECT A IS RELATED TO OBJECT B, you say OBJECT A 跟 OBJECT B 有关系 /A gēn B yǒu guānxi/, lit. OBJECT A HAS a RELATION WITH OBJECT B. Part of words: TO GET MARRIED, RESULT, TO END, SUMMARY. Check these useful words and practical example sentences in a cool interactive form HERE! You see how clean and well-organized it is – no wonder it means CORRECT, JUST. Interesting thing – in English the word JUST can be used not just in the meaning CORRECT, but also in the meaning JUST NOW. The same principle works in Chinese: 正在 /zhèngzài/ indicates that some action is happening right at the moment that we refer to. I’M STUDYING MANDARIN RIGHT NOW. List is gradually growing – just as the whole web-app! 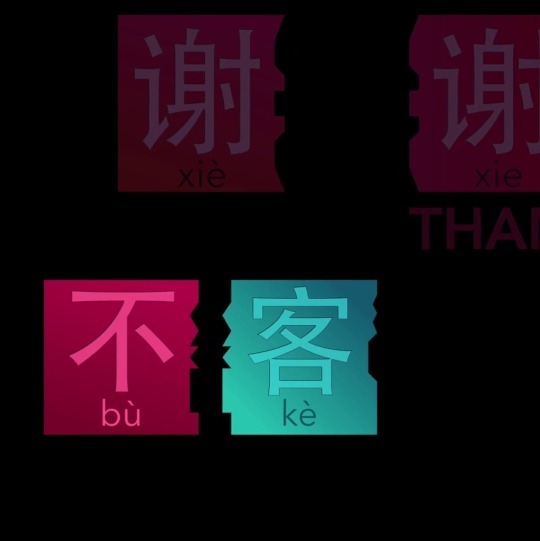 Many words in Mandarin are created either by combining synonyms or by combining antonyms. This is the second case. People were asking for instance – ARE THERE MANY PEOPLE? or ARE THERE FEW PEOPLE? – so in fact HOW MANY PEOPLE ARE THERE? Practice using 多少 /duōshǎo/ on practical example sentences! See it in English – Try to translate it – Click on it to see and hear it in Mandarin! 你几点要回来？/Nǐ jǐ diǎn yào huílái?/ AT WHAT TIME WILL YOU COME BACK? I made this kind of visuals several years ago at the very beginning of chineseffect project. Now the whole thing has evolved rapidly and you can use the interactive features of our web, which is becoming more and more advanced and useful every day.